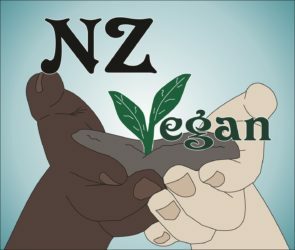 Veganism is nonviolence and a rejection of the exploitation of sentient beings, so the vegan diet reflects these values. Vegans consume an entirely plant-based diet* (hereafter referred to as a vegan diet), and just as in all aspects of vegan living, the vegan diet does not include any products that are taken from any animals, such as: the “meat” of any animal, including fishes, crustaceans, squids, octopi or any other sea-dwelling sentient beings; animal milks or animal milk products such as cow’s, goat’s or sheep’s milk cheeses, cow’s milk ice cream or any other “dairy” products; no bird’s eggs; nor honey; nor products containing any of the above; nor products containing any other animal by-products such as cow’s hooves (gelatine) or feathers (often labelled as “L-cysteine” and often used to make commercial breads) etc. This is not an exhaustive list, but if it seems like a lot to take in, never fear! Avoiding processed foods makes the avoidance of animal by-products easy, and is also much healthier way to eat. There are vegan processed foods, but like most processed foods they are less likely to be nutritionally sound and in NZ they can be rather expensive. *Note – there are individuals who consume an entirely plant based diet for health reasons or environmental reasons or both, but who otherwise use or exploit animals or other animal products. Veganism is not a diet and they are not vegans, however a plant-based diet is obviously an essential part of veganism. It is our individual responsibility to maintain our health and wellbeing, and we each have the means to do so, through eating a balanced vegan diet supplemented with certain vitamins where needed, and making sure we get enough exercise and rest, and avoiding activities that are harmful to us & to those with whom we share this earth. There is no need, and we have no right, to exploit other sentient beings unnecessarily, in order to eat them, or to supplement our diets with certain products that we are perfectly able to obtain from vegan sources.